Charak Clinics | Child Care and Eye Care Clinic in Mohali , Punjab. Parents are attached to their children for their well-being and proper rearing. Even a slightly distressed Baby makes parents worried to seek medical advice while Baby may not be suffering from any ailment but distressed due to common problems like diet, jaundice, vomiting, constipation, crying, sudden behavioral change etc. and requires no treatment. It is important to differentiate between common problems and ailments. What problem does this package intend to treatment? 1. 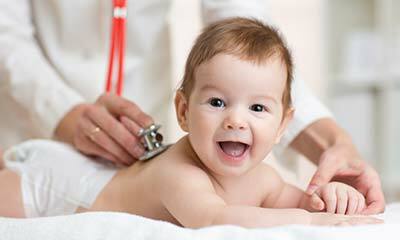 Age, Height, Weight / Length of the baby helps for planning treatment. What is the outcome you can expect? There are many problems in neonates and children, which are very common and frequent and takes a considerable time to be solved or managed, a single consultation is not enough; one needs to be connected with the doctor/ health professional for a longer duration. This is where our multiple consultations help you so that you don't have to start new every single time. These problems normally can be solved without any medicine or minimalistic medicine if required, this package provides a platform to educate the parents for rearing of child, monitor the proper development of child and counseling for parents etc. Common and frequent problems in children takes a considerable time to be solved or managed, a single consultation is not enough; one needs to be connected with the doctor/ health professional for a longer duration. This is where our multiple consultations help you so that you don't have to start new every single time.